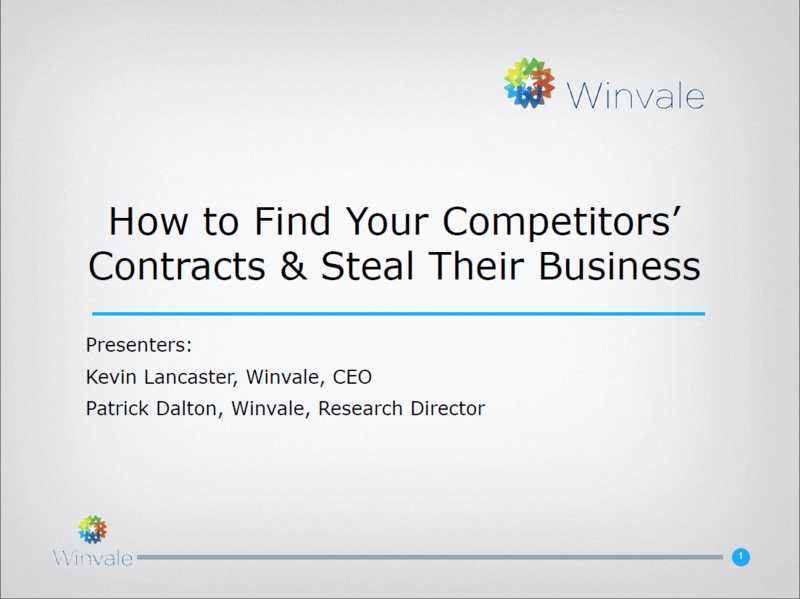 Do You Know How to Find Your Competitors' Government Customers? Did you miss our webinar yesterday on how you can identify, evaluate, and attract your competitors' government customers? You can now download a free copy of this presentation.